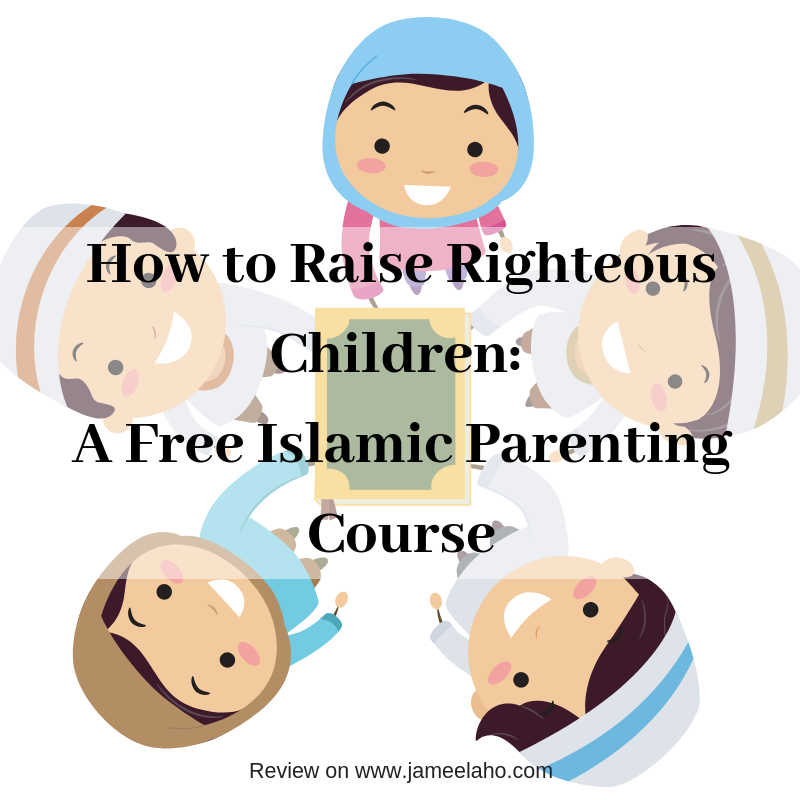 Last year, I'd enrolled in the free online course 'Islamic Parenting: How to Raise Righteous Children' by Seeker's Hub. I started it and the first few lectures were great, but like all online courses, life's busy-ness gets in the way and it gets pushed aside. Alhamdulillah, this year I was able to pushed myself to finish the course and I'm so glad that I did. The remaining lectures were so great that I've learnt so many things. I've decided to do a little review or really a summary of the golden nuggets that I got from it. InshaAllah, it will convince you to enroll and finish the course yourself, or at least recommend it to someone who needs it. 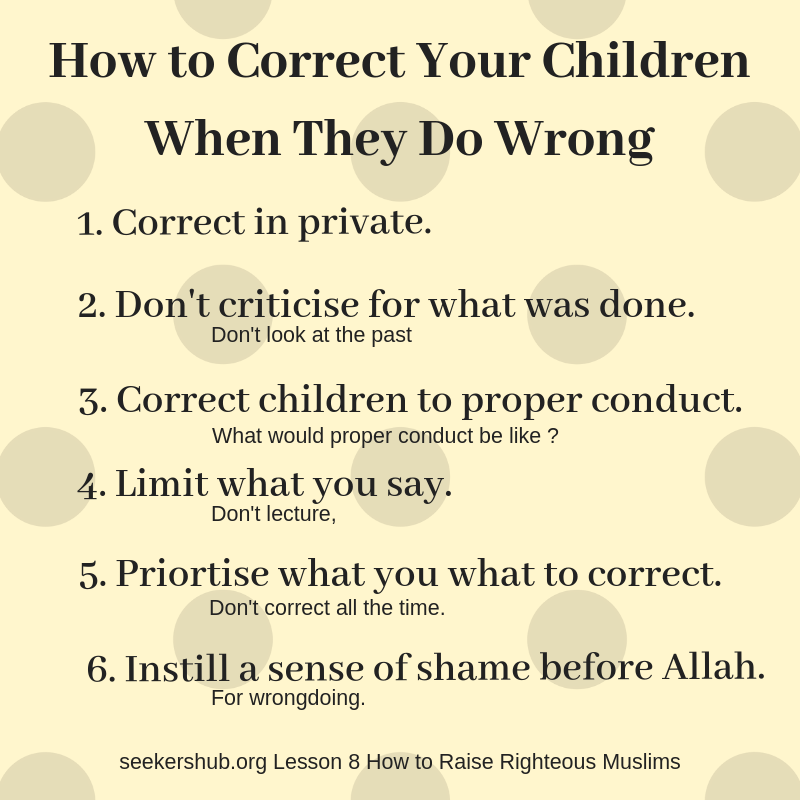 We need to spread the correct way to raise our children to be righteous Muslims. 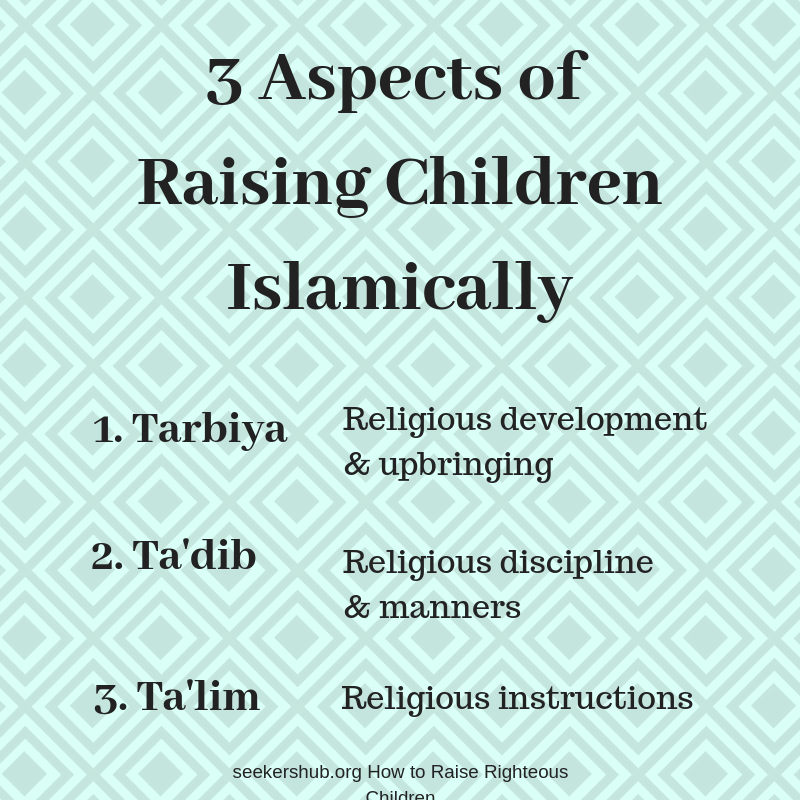 Islamic upbringing of children comprises of three things: tarbiyah, ta’dib and ta’lim. 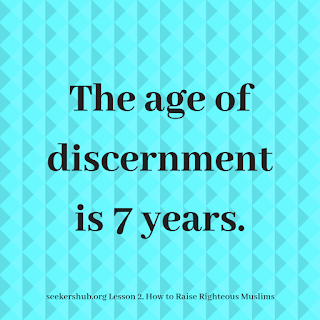 Tarbiyah is our children’s religious development. We teach them to be successful in the Hereafter by seeking closeness to Allah following the example of the Prophet(s). 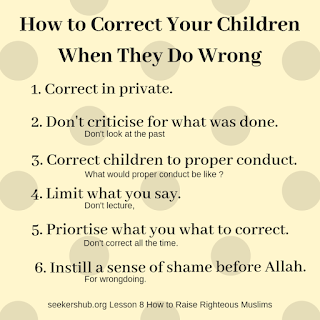 Ta’dib is to teach our children to have the good outward manners and conduct and have the inward discipline of self restraint, which is taqwa (to control ones nafs). Ta’lim is the religious instruction of what to do and what not to do in Islam. This is the Islamic knowledge that children need to know. 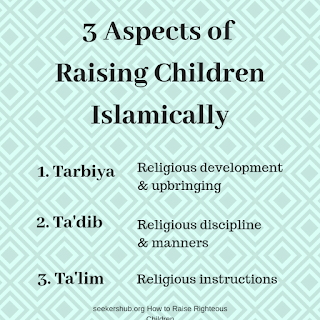 The problem is that most parents concentrate only on number 3: ta’lim of teaching children about Islam but ignore tarbiyah and ta’dib. But in actual fact, tarbiyah and ta’dib should be taught before ta’lim. What this means is that by 7 years of age, children are able to tell right from wrong. 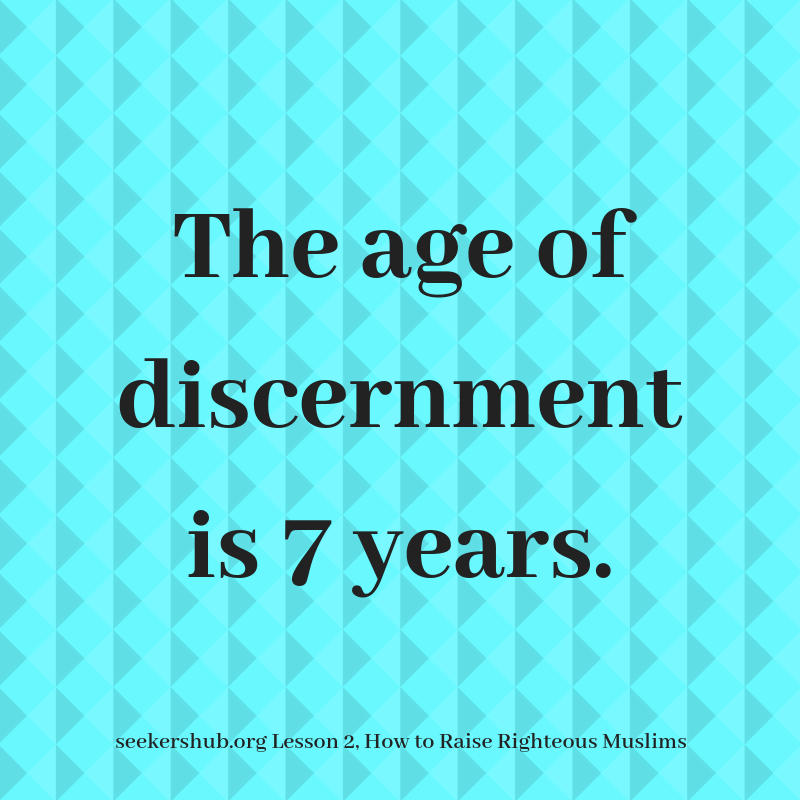 But discernment develops gradually so that it actually starts at 2 years of age and develops fully at 7 years old. What this means is that parents should start teaching Islamic morals and manners from 2 years of age but in a fun and informal way rather than strict lessons. At 7 years is when the formal lessons can begin. Most parents take this to mean to just let their children play all the time without any form of an Islamic moral or character development. They wait until the child is 7 years old to start. 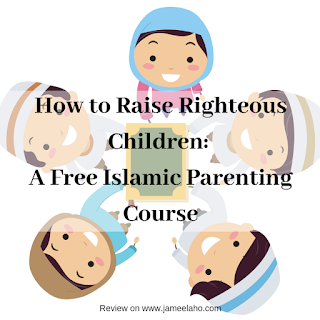 But since there hasn’t been any ground work done, no preparations for their child to develop a love of Islam and upright character, the child might not be eager to learn. Yes do play with your children from birth to 7 years but also guide them towards proper conduct and Islamic values in a playful way from 2 years of age. If this is done then your child will be ready and enthusiastic to learn, InshaAllah. To have success at guiding your children’s behaviour, you’d need to have these seven characteristics. You need to be not moved to anger by what is said to you. You need to be gentle with your child and have a merciful heart. You need to be easy going and not too strict. You need to be understanding of your child and be always far from angry. Lastly, you need to have balance and moderation in what you discipline. 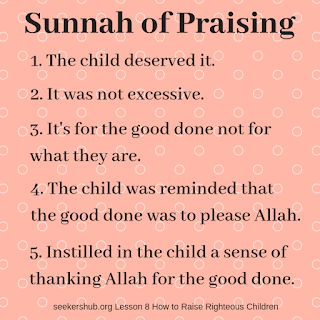 Praising children is an important aspect of parenting but it should be done in a way that makes them want to increase in that virtue. It should be done in moderation and not done in a way that makes them arrogant and full of self-consequence. 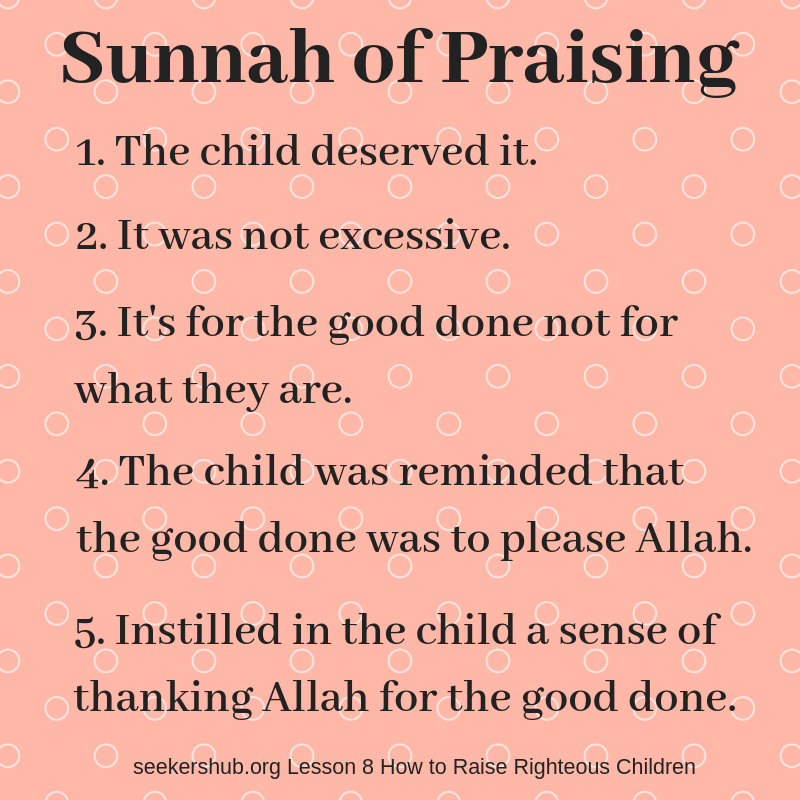 The image above captures the five rules to follow when praising your children. You can’t change the past. Whatever was done cannot be changed but you can change what will happen in future. For this reason don’t focus on what your child has done wrong or what he hasn’t done right but focus on what you would like to see happen. 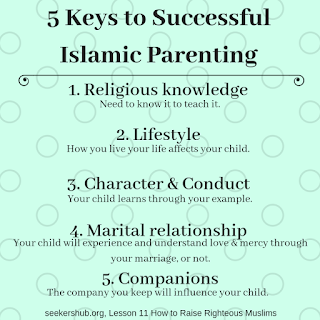 To be successful in Islamic parenting you’d need to have these five things: Islamic knowledge, a good halal lifestyle, righteous character and conduct, a loving relationship with your spouse and righteous friends. Religious knowledge - without which we can’t teach our children since we can’t teach what we don’t know. Keep learning and use this dua for increased beneficial knowledge. Live the good life. If you are righteous then Allah will reward you with a contented life with lawful provisions. This goodly lifestyle is the environment in which you can successfully raise your children. 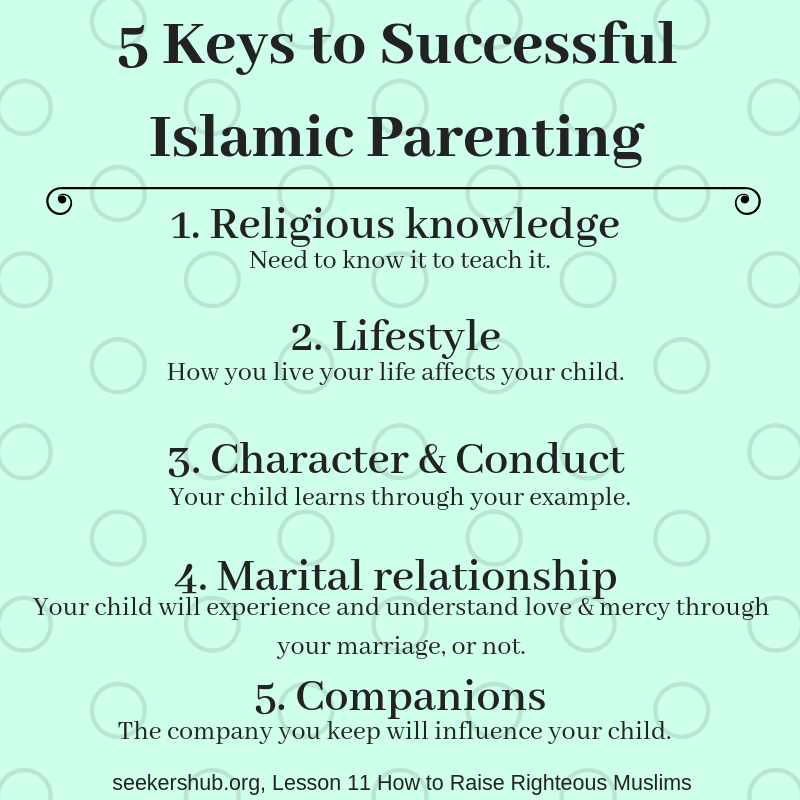 The third key to successful Islamic parenting is to have a noble character. How you are is how your children will become. They model their behaviour after you. What is a noble character? Do you have belief in your heart and does it manifest itself in your outward actions? Are you charitable and do your children see you pray, give zakat and fulfill your promises? Are you patient at all times and especially with them? These are some things we need to work on. Fourth key to Islamic parenting success is to have love and mercy between you and your spouse. Allah has put love and mercy between you. Are your children a witness to it? It is this love and mercy that will affect how they will in turn treat another later in life. The last key to successful Islamic parenting is having good companions. Your friends influence your lifestyle and your lifestyle affects how your children are being raised. Therefore have righteous friends and companions. Hang out with learned people. If you can, invite scholars, sheikhs and righteous people as guests to your home. All these things have an influence on what your child sees, learn and do. There is so much more that you can take from this course. It's better if you enroll and push yourself to finish it. You'll be glad that you did! Enroll here. Mashallah what a nice informative post! Jazaki Allah khairan sister. I wanted to enroll in the course but it seems that registration is closed :( How do I get access to the material? Wa iyaki sis. It's usually open for registration twice every year. If you subscribe to their list then they will inform you of when they are taking enrollments inshaAllah. It's better if you quote the actual course and the lecturers there.